The two countries had shared a monarch since the Union of the Crowns in 1603, when King James VI of Scotland inherited the English throne from his double first cousin twice removed, Queen Elizabeth I. Although described as a Union of Crowns, until 1707 there were in fact two separate Crowns resting on the same head (as opposed to the implied creation of a single Crown and a single Kingdom, exemplified by the later Kingdom of Great Britain). There had been three attempts in 1606, 1667, and 1689 to unite the two countries by Acts of Parliament, but it was not until the early 18th century that both political establishments came to support the idea, albeit for different reasons. England and Scotland were separate states for several centuries before eventual union, and English attempts to take over Scotland by military force in the late 13th and early 14th centuries were ultimately unsuccessful (see the Wars of Scottish Independence). 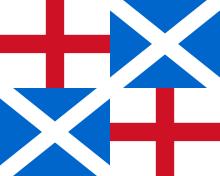 The first attempts at Union surrounded the foreseen unification of the Royal lines of Scotland and England. In pursuing the Scottish throne in the 1560s, Mary, Queen of Scots pledged herself to a peaceful union between the two kingdoms. England and Scotland were ruled by the same king for the first time in 1603 when James VI of Scotland also became the king of England. However they remained two separate states until 1 May 1707. The first attempt to unite the parliaments of England and Scotland was by Mary's son, King James VI and I. On his accession to the English throne in 1603 King James announced his intention to unite his two realms so that he would not be "guilty of bigamy". James used his Royal prerogative powers to take the style of 'King of Great Britain' and to give an explicitly British character to his court and person. Whilst James assumed the creation of a full union was a foregone conclusion, the Parliament of England was concerned that the formation of a new state would deprive England of its ancient liberties, taking on the more absolutist monarchical structure James had previously enjoyed in Scotland. In the meantime, James declared that Great Britain be viewed 'as presently united, and as one realm and kingdom, and the subjects of both realms as one people'. The Scottish and English parliaments established a commission to negotiate a union, formulating an instrument of union between the two countries. However, the idea of political union was unpopular, and when James dropped his policy of a speedy union, the topic quietly disappeared from the legislative agenda. When the House of Commons attempted to revive the proposal in 1610, it was met with a more open hostility. The Solemn League and Covenant 1643 sought a forced union of the Church of England into the Church of Scotland, and although the covenant referred repeatedly to union between the three kingdoms of England, Scotland, and Ireland, a political union was not spelled out. In the aftermath of the Civil War, in which the Covenanters had fought for the King, Oliver Cromwell occupied Scotland and began a process of creating a 'Godly Britannic' Union between the former Kingdoms. 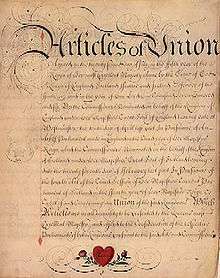 In 1651, the Parliament of England issued the Tender of Union declaration supporting Scotland's incorporation into the Commonwealth and sent Commissioners to Scotland with the express purpose of securing support for Union, which was assented to by the Commissioners (Members of Parliament) in Scotland. 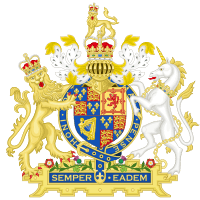 On 12 April 1654, Cromwell – styling himself Lord Protector of England, Scotland and Ireland – enacted An Ordinance by the Protector for the Union of England and Scotland, which created 'one Commonwealth and under one Government' to be known as the Commonwealth of England, Scotland and Ireland. The ordinance was ratified by the Second Protectorate Parliament, as an Act of Union, on 26 June 1657. One united Parliament sat in Westminster, with 30 representatives from Scotland and 30 from Ireland joining the existing members from England. Whilst free trade was brought about amongst the new Commonwealth, the economic benefits were generally not felt as a result of heavy taxation used to fund Cromwell's New Model Army. This republican union was dissolved automatically with the restoration of King Charles II to the thrones of England and Scotland. Scottish members expelled from the Commonwealth Parliament petitioned unsuccessfully for a continuance of the union. Cromwell's union had simultaneously raised interest in and suspicion of the concept of union and when Charles II attempted to recreate the union and fulfil the work of his grandfather in 1669, negotiations between Commissioners ground to a halt. 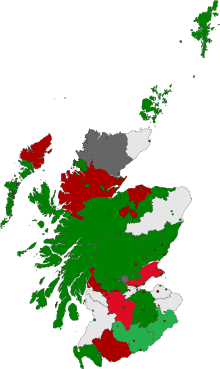 An abortive scheme for union occurred in Scotland in 1670. Following the Glorious Revolution of 1688, the records of the Parliament of Scotland show much discussion of possible union. William and Mary, whilst supportive of the idea, had no interest in allowing it to delay their enthronement. Impetus for this incorporating union came almost entirely from King William, who feared leaving Scotland open to a French invasion. In the 1690s, the economic position of Scotland worsened, and relations between Scotland and England became strained. In the following decade, however, union again became a significant topic of political debate. The English purpose was to ensure that Scotland would not choose a monarch different from the one on the English throne. The two countries had shared a king for much of the previous century, but the English were concerned that an independent Scotland with a different king, even if he were a Protestant, might make alliances against England. 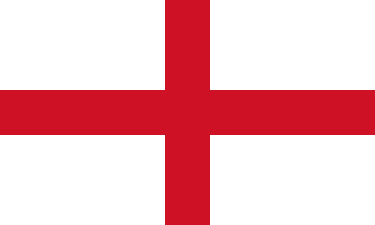 The English succession was provided for by the English Act of Settlement 1701, which ensured that the monarch of England would be a Protestant member of the House of Hanover. Until the Union of Parliaments, the Scottish throne might be inherited by a different successor after Queen Anne: the Scottish Act of Security 1704 granted parliament the right to choose a successor and explicitly required a choice different from the English monarch unless the English were to grant free trade and navigation. Many people in England were unhappy about the prospect, however. English overseas possessions made England very wealthy in comparison to Scotland, a poor country with few roads, very little industry and almost no Navy. This made some view unification as a markedly unequal relationship. Defoe recalls that he was hired by Robert Harley. Ireland, the third of the "sister kingdoms", was not included in the union. The effective government of Ireland was in the hands of the 'Protestant Ascendancy', a minority elite (about 10% of the population). The Roman Catholic majority were systematically excluded from political and military discourse through a series of post-Cromwellian Penal Laws, limiting their rights to property, education, and the franchise. 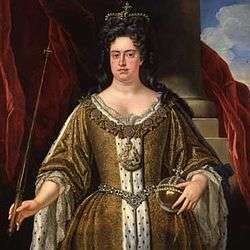 In July 1707 each House of the Parliament of Ireland passed a congratulatory address to Queen Anne, praying that "May God put it in your royal heart to add greater strength and lustre to your crown, by a still more comprehensive Union". The British government did not respond to the invitation and an equal union between Great Britain and Ireland was out of consideration until the 1790s. Ireland's benefits from the Union of 1707 were therefore few. Its preferential status in trade with England now extended to Scotland. However, Ireland was left unequal and unrepresented in the Parliament of Great Britain. The Kingdom of Ireland was to remain separate, and legally subordinate to Great Britain until 1784. The union with Ireland finally came about on 1 January 1801. 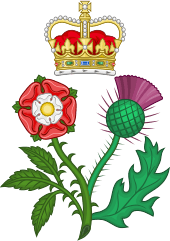 Royal heraldic badge of Queen Anne, depicting the Tudor rose and the Scottish thistle growing out of the same stem. 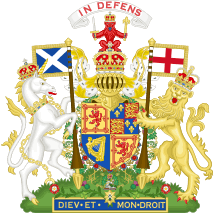 Soon after the Union, the Act 6 Anne c.40 (later infelicitously named the Union with Scotland (Amendment) Act 1707) united the English and Scottish Privy Councils and decentralised Scottish administration by appointing justices of the peace in each shire to carry out administration. In effect it took the day-to-day government of Scotland out of the hands of politicians and into those of the College of Justice. The English and Scottish parliaments had evolved along different lines; especially, the Parliament of Scotland had been unicameral while that of England had been bicameral. Following Union, the parliament at Westminster followed the English model. Defoe drew upon his Scottish experience to write his Tour thro' the whole Island of Great Britain, published in 1726, where he admitted that the increase of trade and population in Scotland, which he had predicted as a consequence of the Union, was "not the case, but rather the contrary". However, by the time Samuel Johnson and James Boswell made their tour in 1773, recorded in A Journey to the Western Islands of Scotland, Johnson noted that Scotland was "a nation of which the commerce is hourly extending, and the wealth increasing" and in particular that Glasgow had become one of the greatest cities of Britain. The Scottish Executive held a number of commemorative events through the year including an education project led by the Royal Commission on the Ancient and Historical Monuments of Scotland, an exhibition of Union-related objects and documents at the National Museums of Scotland and an exhibition of portraits of people associated with the Union at the National Galleries of Scotland. ↑ The citation of this Act by this short title was authorised by section 1 of, and Schedule 1 to, the Short Titles Act 1896. Due to the repeal of those provisions, it is now authorised by section 19(2) of the Interpretation Act 1978. ↑ Larkin, James F.; Hughes, Paul L., eds. (1973). Stuart Royal Proclamations: Volume I. Clarendon Press. p. 19. ↑ Lockyer, R. (1998). James VI and I. London: Addison Wesley Longman. pp. 51–52. ISBN 0-582-27962-3. ↑ Parliament.uk Archived 10 December 2008 at the Wayback Machine. 1 2 Parliament.uk Archived 12 October 2008 at the Wayback Machine. ↑ Whatley, C. (2006). The Scots and the Union. Edinburgh: Edinburgh University Press. p. 91. ISBN 0-7486-1685-3. 1 2 "The commissioners". UK Parliament website. 2007. Archived from the original on 19 June 2009. Retrieved 5 February 2013. ↑ "The course of negotiations". UK Parliament website. 2007. Archived from the original on 21 July 2009. Retrieved 5 February 2013. ↑ "Ratification". UK parliament website. 2007. Archived from the original on 19 June 2009. Retrieved 5 February 2013. 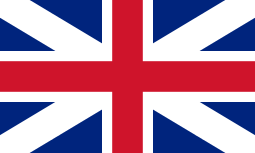 ↑ "1 May 1707 – the Union comes into effect". UK Parliament website. 2007. Archived from the original on 19 June 2009. Retrieved 5 February 2013. ↑ Whatley, C. A. (2001). Bought and sold for English Gold? Explaining the Union of 1707. East Linton: Tuckwell Press. p. 48. ISBN 1-86232-140-X. ↑ Watt, Douglas. The Price of Scotland: Darien, Union and the wealth of nations. Luath Press 2007. ↑ Parliament.uk Archived 25 September 2008 at the Wayback Machine. 1 2 "Scottish Referendums". Bbc.co.uk. Retrieved 2016-03-16. ↑ Notes by John Purser to CD Scotland's Music, Facts about Edinburgh. ↑ Riley, P. J. W. (1969). "The Union of 1707 as an Episode in English Politics". The English Historical Review. 84 (332): 498–527 [pp. 523–524]. doi:10.1093/ehr/lxxxiv.cccxxxii.498. JSTOR 562482.